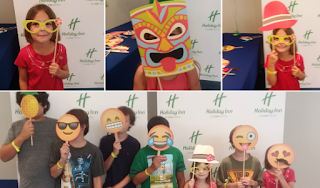 My kids and I have been stuck indoors most of the summer because of it being too hot or raining we were happy to find out that Scholastic and Holiday Inn teamed up to bring, #SummerofSmiles which is a great way to get kids reading, and us out of the house on a mini vacation. 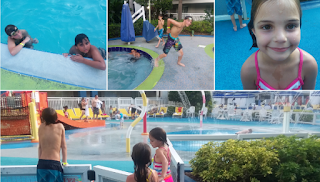 We were invited to check out the event at the Holiday Inn Resort Orlando Suites-Waterpark. But make sure to check which Holiday Inn locations are participating, on the list here before making reservations! 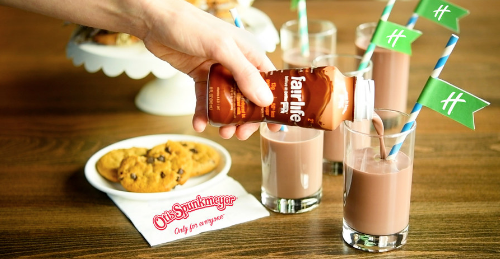 Otis Spunkmeyer, and Fairlife Milk team up with Holiday Inn to bring Chocolate Milk Happy Hour! The kids can go to the restaurant area of select Holiday Inn Resorts and pick up their FREE chocolate milk and cookies (The Holiday Inn we were at was on Thursdays from 5-7PM but call or as when you check in what time it's at in different locations). We checked in at about 2pm but had to get a few things for the room so we weren't really at the hotel til about 3pm. The kids wanted to swim so they headed down and we enjoyed ourselves at the pool until 5:30 the sign reads while supplies last, so we wanted to make sure we made it in time for the Chocolate Milk Happy Hour, we arrived to a well decorated table full of chocolate chip cookies, personal bottles of white or chocolate milk provided my Fairlife, crazy straws, normal straws, and even cute little cow cups. My kids of course all picked Chocolate milk and I went with white milk, that is right it is a event for everyone not just the kids. 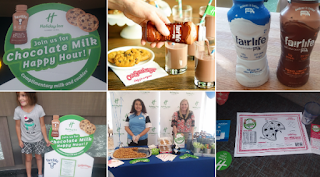 Wow I have never heard of or tried Fairlife milk before and needless to say it was the best ever, and my kids were already asking for more before we were gone. ( FYI, I located Fairlife milk at our local Publix) They also had a fun set up Emoji faces and other fun props for photos. 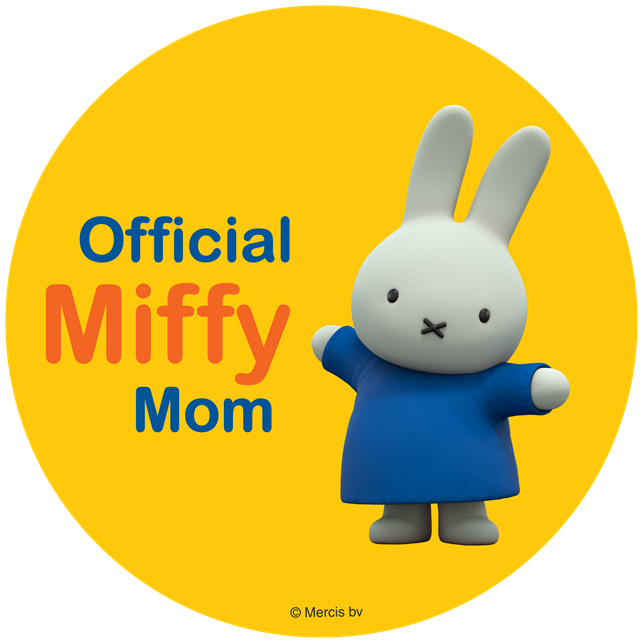 Which the kids went nuts with. The cookies from Otis Spunkmeyer topped off a great evening. After our Chocolate Milk Happy Hour we returned to the pool, then once the pool closed we all headed to our rooms and enjoyed a night's sleep. 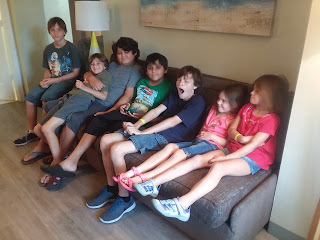 I love the rooms at the Holiday Inn Resort Orlando Suites-Waterpark, they had a parent room which had a single bed and tv, then the kids room which had a twin over full and tv as well as a bean bag chair which omg the kids LOVED. The bathrooms were big and had a clothes line which I used to dry our swimsuits overnight, nothing worse than getting in a wet cold swimsuit whooo fun......NOT. 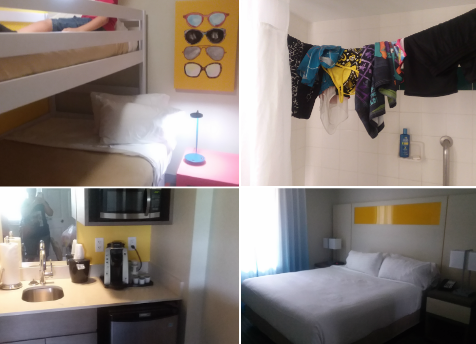 The room also had a pull out bed, microwave, sink and mini fridge so it was a very nice room. After being well rested all the kids were up and ready to go to the Character Meet and Greet. When we first arrived they had a few tables set up with crafts for the kids, there was a Clifford table which you could color Clifford, and the other was make Clifford ears. The other table was set with Geronimo maze and word search and coloring sheet. My daughters stuck with something simple and colored Clifford. When Clifford arrived my oldest son posed with him and the staff even gave everyone their own polaroid picture to take home. We also did the same with Geronimo. Each child attending was given a Clifford Baby Days book or Geronimo depending on age. There was also a table set up near the character meet and greet, that had a "Borrow a Book" sign, so you can take the book back to your room, read it and drop it back off before you go. Such a great way to get the kids reading while on vacation. I definitely recommend checking out the Holiday Inn if you have travel plans this summer to see if you can stay at a participating location. Make sure to tag your stay with #SummerofSmiles and @Themeparkmama. 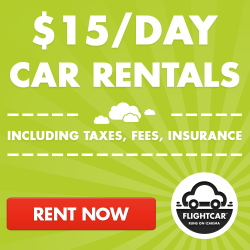 Live in FL, see below for special rates! 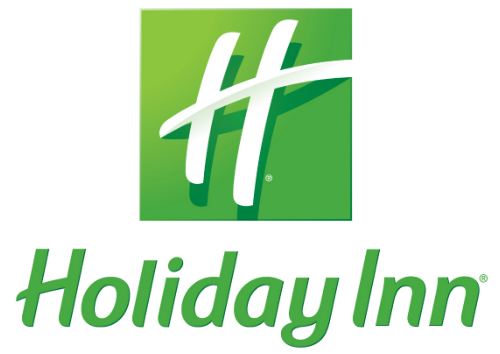 WHAT: Florida residents can save up to 20% on stays at Holiday Inn Club Vacations® resorts in Florida. Enjoy a vacation in your home state at one of our four resort locations. Our diverse resorts offer fun for all ages, from toddlers to teenagers and beyond, with golf courses, beaches, pools, dining and entertainment. Ranging from one to four bedrooms, the spacious villas offer fully-equipped kitchens and living and dining areas, with plenty of room for everyone. WHO: Offer available to Florida residents. 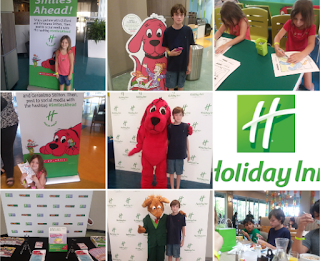 HOW: Visit the Holiday Inn Club Vacations offer page and book now!